Accelerated Corrosion Tests of automotive components, paints and coatings, metal treatments, sealants, and electronics demand cyclic corrosion testing with temperature > 60°C and humidity <30% to 100% RH. 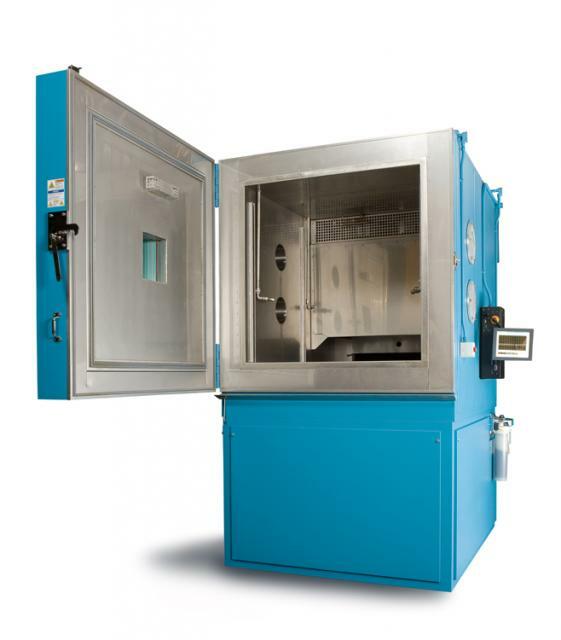 Thermotron’s completely automated cyclic corrosion test chamber is designed to accurately simulate the corrosive conditions products encounter with actual outdoor exposure in far less time. The chamber has ample space and with multi-shelving allows testing of many products / samples at a time. Salt & water spray nozzles are adjustable, ensures proper product exposure to the spray. The chamber components are made of high quality anti-corrosive stainless steel. A full front opening door accommodates easy access to the entire workspace for easy loading and unloading of product. Thermotron has designed and supplied larger chambers for variety of applications, can customize the equipment per your needs.